The Blues have endured several rough patches this season after clinching the title last season and are currently 25 points behind leaders Manchester City. 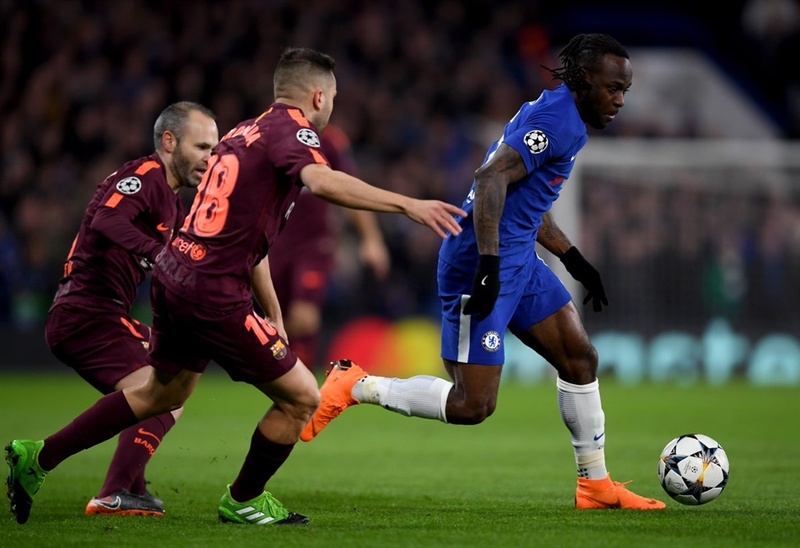 Chelsea wing-back, Victor Moses is eager to see his club return to winning ways and he has appealed to his teammates to ensure they do all they can to overcome Crystal Palace this weekend. While catching up with City to retain the Premier League crown is as good as impossible, Moses and his teammates have the more urgent task of a top-four finish. “We all professionals, top players and we have to realise it’s important to win every game from now till the end of the season,” Moses reiterated. With the recent back-to-back defeats, Chelsea are currently five points behind London rivals Tottenham Hotspur who occupy fourth position. Moses is however upbeat about Chelsea’s capacity to put on a fight and finish the season on a high. Antonio Conte’s men have a chance to get back to winning ways again when they host Crystal Palace in Saturday’s late kick-off at the Stamford Bridge. “Crystal Palace are a good side. They have good strikers who score goals but we have to stay together as a team and overcome them.” The Nigeria international stated.